There probably isn’t a living soul on this planet who is not in love with music. No matter how it is perceived or which genre you actually listen to, music provides people with sacred moments of solace and internal peace that eventually leads to a calmer and healthier routine and supports their actively functioning lifestyle. However, when it comes to music listening, people often get confused with which device to buy as there are a wide range of gadgets available in the market for the purpose. The biggest dilemma is that even if a person zeros down on something, the question of whether or not the product will suit their needs still prevails. The features that are usually the core of this dilemma are the sound quality, bass response, built material and the design of the product. These features are also subjective in nature and vary from person to person, as the requirement of music gadget for an athlete, a corporate professional and a music audiophile are certain to be different in tonality. However, one common factor is that the product shall never slow them down. 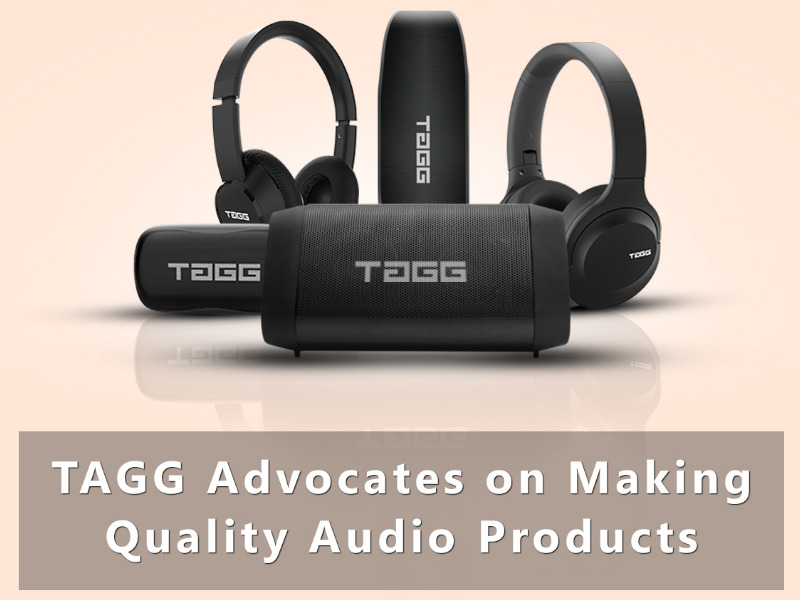 Taking all the aforementioned scenarios in consideration, TAGG, a new age company in the consumer electronics segment that commenced its operations in 2016 has gained reputation of continually striving towards making quality audio products. TAGG believes in hustling towards elevating people’s lifestyle. The Indian mobile and accessories market has witnessed a significant growth potential in the past decade, owing to the bend towards an active lifestyle. Earlier, consumers had limited options either to go for international brands, which were high in cost, or low-quality Chinese products with no assurance of product performance. There was a dire need for a home-grown Indian brand to step in the market and provide consumers with what they actually desire. TAGG believes that audio products need a personalized touch that people can emulate to showcase their internal instincts and personality. All of their products, that includes wired/wireless earphones, Bluetooth speakers etc. are the result of their on point vision. “Our products are designed in manner that it keeps you ahead, something we have always believed in.” acknowledges Rohit Dhingra, TAGG’s CEO and Co-founder. The world of audio products is filled with multiple options, however it is important to find the right product that not only suits your lifestyle but also keeps you ahead, something TAGG has realized and is sure to incorporate in their future endeavors that includes a whole lot of exciting products. It’s not just about electronics, it’s about elevating people’s lifestyle and keeping them ahead.